Scarf measures 35 1/2 by 31 inches. Shawl measures 44 1/2 by 39 inches. 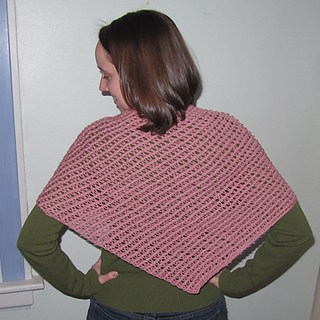 This sugary sweet shawl and scarf set is sure to be a favorite. The lacy texture is made using Tunisian Extended Knit Stitch. 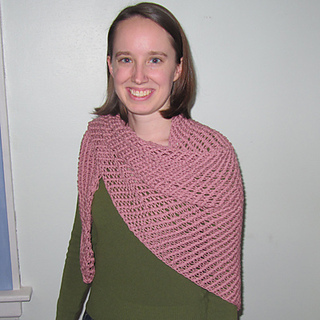 Both the shawl and scarf are worked along the bias. 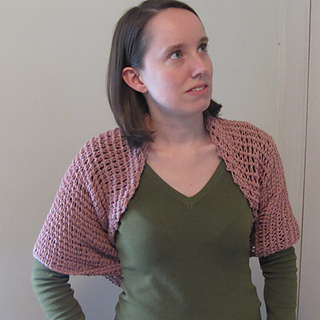 The shawl can be worn traditionally, or the ends can be tied behind the back for a shrug. 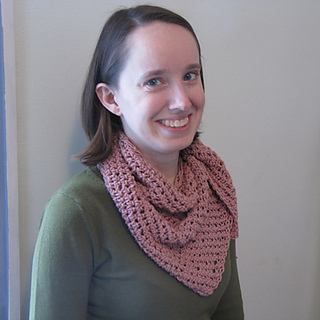 The asymmetrical, triangular scarf works beautifully for a layering piece or as a matching child’s size shawl. Finished measurements: Scarf measures 35 1/2 by 31 inches. Shawl measures 44 1/2 by 39 inches. This pattern uses US Tunisian Crochet terminology. Listing for a e-pattern pdf download, not for a finished item.